This is the second part of the article about the typical scenarios of the tactical motif in chess, which is called Double attack. If you have missed the first part, you can find it here. How do you evaluate this position? At the first glance, the position looks a little better for Black, because White has weaknesses in his pawn structure. Perhaps you can spot a very obvious double attack now. The Bishop captures on e4 and both of White’s Rooks are hanging. Black makes this move in the game and White resigns instantly. 1. The double attack is the most common and one of the most powerful tactical weapons in chess. Scenario 1: One White’s piece attacks two Black pieces. Scenario 2: One White’s piece attacks the King and another White’s piece attacks the opponent’s unprotected piece. Scenario 3: Last, but not least, the White’s Queen is threatening checkmate and another unprotected piece. First, we must understand deeply the three main scenarios and then try to apply them in practice. Usually the practical examples are little more complicated, but if you have understood them then everything will be clear to you and you will gain a lot of wins. After calculating all possible variations, you’re welcome to check the solution in the PGN files here. P.S. Did you manage to find the right solution for all the exercises? Did you like this two-part article? Feel free to write your thoughts and comments below. I hope that the first weapon (the check) is a pretty straightforward idea. You should attack the King in order to checkmate him. In many cases, the King or other pieces can run away from a threat. For example, we attack a Bishop and he moves away. We attack him once again and he escapes the threat one more time! Therefore, we need a stronger attack. This stronger technique is the double attack. When we attack two of our opponent’s pieces with one our piece, we call it a double attack. We have three possible scenarios. In the above diagram, we can see that White’s Queen is attacking both the Black’s Knights. Black can save only one of the Knights, but not both at the same time. The Black’s pieces are unprotected. Suggestion: you may also like to learn about the tactical motif “Knight Fork”. In the above diagram, Black’s Queen from the b6-square is threatening the White’s King on g1 and the White’s Bishop on b2. Please note that this scenario is a little different from the previous one because we are threatening the King. The attack on the King is a very powerful and forcing method. In scenario 1, Black can choose which of the two Knights he would like to keep on the board. Probably he will choose to save the Knight that is closer to his King. In scenario 2, White should protect his King and, after that, Black can capture the Bishop. Scenario 3 is a combination of the first and second scenario. Here, we can see the idea. White’s Queen is threatening to checkmate on h7 and the unprotected Rook on a8. Black is forced to protect the h7 square, so he will lose the Rook on a8. Note: usually it’s the Queen that performs the attack in this third scenario. These are the three main scenarios of the double attack. If we are lucky, these may appear in our games and we can find them easily. In most cases, however, the chess game is little more complicated. Perhaps 1-2 forcing moves will happen and then we should see the double attack. Or a double attack will be combined with another tactical motif. In the first practical example, we can spot the unprotected Rook on e7. If we attack this Rook with the move Knight to f5, then it will escape, for he can move somewhere else. As the great American player used to say, “Chess is time”. By this, he meant that we may have a plan but the opponent has his own plan, too. Here is a practical tip for you. If you would like to win some time, then you should attack the King! So here White plays the best move – Queen to f6. This is a double attack on the King and the e7-Rook. Black moves his Queen to g7, what else does he have? So we can see the updated position in the diagram below. It is White’s turn. Will White capture the rook as he had planned to one move ago? Of course not! Do you remember the anti-blunder technique? Before making a move, we should ask ourselves: “What is my opponent’s threat?” With his last move, Black is threatening checkmate on g2. This happens accidentally. Black hasn’t planned it ahead, as he was forced to cover his King. 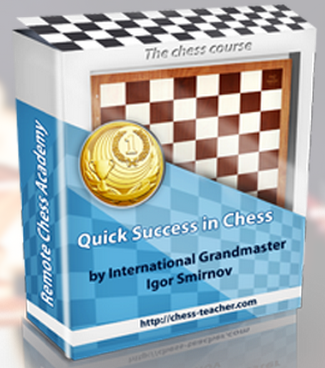 Suggestion: Get the FREE course “Quick success in chess”, optimize your chess training and speed up your progress! When we play a chess game, and especially a blitz game, we have this passion – to make quick moves – and if we find a good idea, we feel great and are impatient to perform it as soon as possible. Now we are in a relaxed mood because our clock is not ticking, so let’s think about this position once again. White would like to capture the rook on e7 but cannot do so right now. White should win time. How can we win time? Of course, this can happen by giving a check. Therefore, White plays the best move, Queen to h4. Black is forced, once again, to cover his King, and then White captures the Rook on e7. P.S. Was this article useful for you? 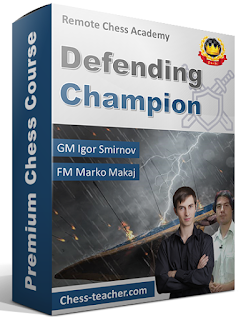 If you have some chess friends who are beginners, you may share this information with them – it can be very helpful for them. Structures are very important, especially in the opening, as they shape the chess game. All the strategic elements like King’s safety, development of your pieces and control upon the center are somehow attached to the pawn structure. 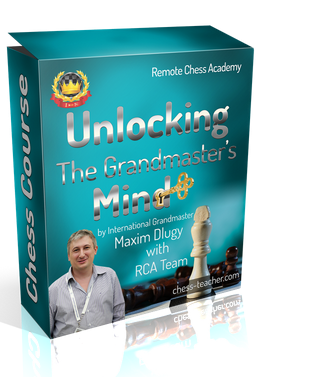 Our guest coach GM Suat Atalik has prepared a very instructive video lesson for you. 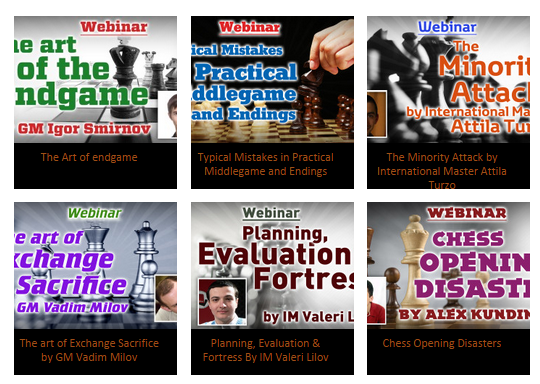 In this lesson, he will discuss the pawn structures in chess. In the past, people have judged this move as one that creates a bad structure. People call it Lasker’s Hunt, from the famous game between Schlechter and Lasker, 10th World Championship 1910. In this game, White chooses a conservative move – he moves his Knight to b3. Black has a perfect position here. We can say that Black has even taken the initiative. That’s why it is called Lasker’s Hunt because he is hunting for the advantage. Suggestion: you may like to learn about the “Best chess openings and how to pick one for you”. We can reach this position from different opening systems. Fischer spends three tempi with his Bishop in order to get this structure, which he is also happy to play with a tempo down. Petrosian has equal chances in this position, but Fischer manages to beat him in the end. Suggestion: You may also like to see “Bobby Fischer’s greatest chess game – game of the century”. White invades Black’s territory with the interesting move d5. Here comes the second name for this opening, “the Pelican”, from the bird. 1.e4 c5 2.Nf3 Nc6 3.d4 cxd4 4.Nxd4 Black can try to play e5 immediately without the move Knight to f6. This opening system is called the Kalashnikov. Suat believes that this position is complicated because Black has a weakness on d6 and White has one on d4. Below, Suat analyzes this game from Black’s point of view. I hope you will enjoy watching the game. Note: you may download the PGN of all the games mentioned in the lesson here. He was born in Turkey in 1964, represented Turkey in the World Junior Chess Championship in 1983, and was their top board for several Chess Olympiads. In 2003, he took the first place at Mar del Plata. In 2007 he tied for first with Michael Roiz at the Gorenje Valjevo Tournament. Atalık won the 3rd and 4th Mediterranean Chess Championships in Antalya, Turkey and Cannes, France respectively.